Where humanity goes, microorganisms boldly follow. Self-portrait of Tracy Caldwell Dyson in the Cupola module of the International Space Station observing the Earth below during Expedition 24. Image credits NASA / Tracy Caldwell Dyson via Wikimedia. New research is pinpointing exactly who makes up the microflora on the International Space Station. The study — the first comprehensive catalogue of the bacteria and fungi on the inside surfaces of the ISS — can be used to develop safety measures for NASA for long-term space travel or living in space. Microflora can have a range of impacts on human health, so it pays to know exactly what you’re up against — especially in space. Astronauts show an altered immune response during missions, which is compounded by the difficulty of giving them proper medical care. The team hopes that their catalog can give future space mission planners a better idea of which bugs accumulate in the unique environments associated with spaceflight, how long each strain survives, and their possible impact on the crew and the ship itself. Despite the exotic setting, the team used pretty run-of-the-mill culture techniques to sample the microflora of eight different locations inside the ISS. These included the viewing window, toilet, exercise platform, dining table, and sleeping quarters. The samples were taken during three flights across 14 months’ time, so the team could get an idea of how the tiny organisms fared over time. Genetic sequencing methods were used to identify the strains in these samples. All in all, the team reports finding mostly human-associated microbes on the ISS. The most prominent included Staphylococcus (26% of total isolates), Pantoea (23%), and Bacillus (11%). The analysis also revealed the presence of bugs considered to be opportunistic pathogens here on Earth — such as Staphylococcus aureus (10% of total isolates identified), which is commonly found on the skin and in the nasal passages, and Enterobacter, which is associated with the human gastrointestinal tract. 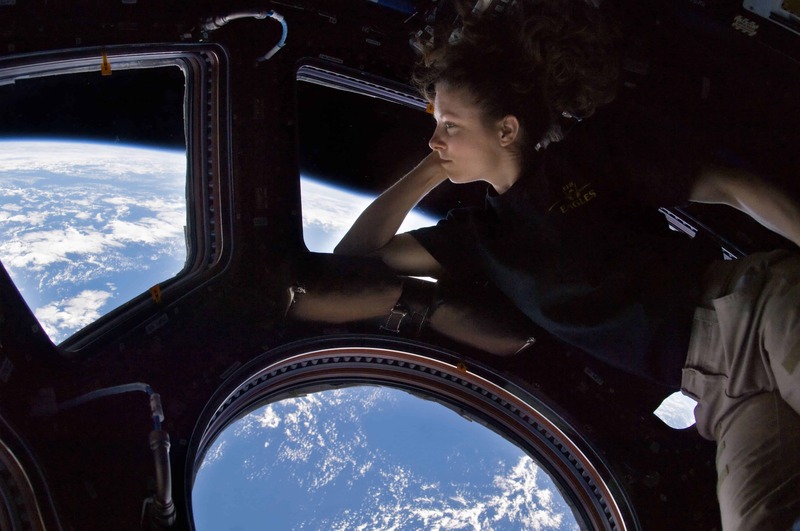 Opportunistic pathogens are regulars in gyms, offices, and hospitals, the team explains, suggesting that the ISS’s microbiome is also shaped by human occupation, as is similar in microbiome to other built environments. But it’s not all about the crew. “Some of the microorganisms we identified on the ISS have also been implicated in microbial induced corrosion on Earth. However, the role they play in corrosion aboard the ISS remains to be determined,” says Dr Urbaniak, joint first author of the study. Fungal communities were quite stable over the study’s period, but microbial communities changed over time (but not across locations). Samples taken during the second flight mission had higher microbial diversity than samples collected during the first and third missions. The authors suggest that these temporal differences may come down to which astronauts are aboard the ISS at any given time. Dr Venkateswaran hopes this data can help NASA improve on-board safety measures, and that they will pave the way to safe, deep space human habitation. “The results can also have significant impact on our understanding of other confined built environments on the Earth such as clean rooms used in the pharmaceutical and medical industries,” he adds. The paper “Characterization of the total and viable bacterial and fungal communities associated with the International Space Station surfaces” has been published in the journal Microbiome.